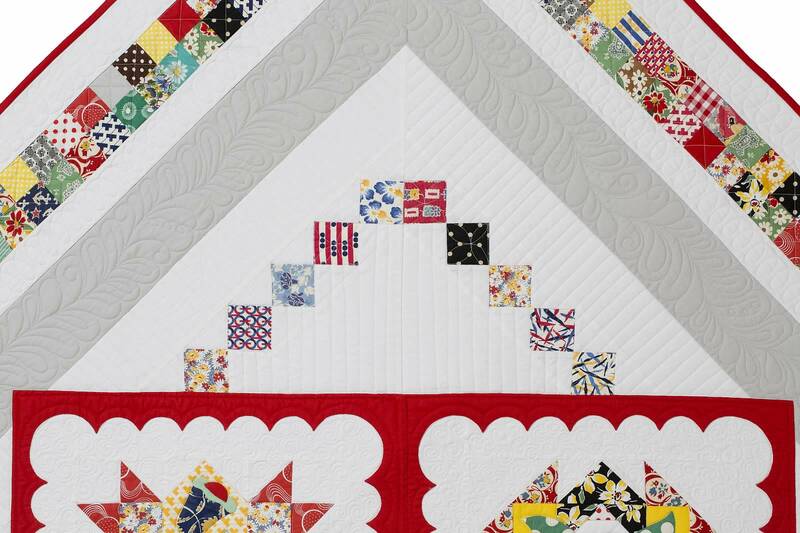 We’re up to Month 11 of the Hazel’s Diary quilt, this year’s Kansas City Star Block-of-the-Month. If you’re all caught up to this point, you might be glad to know that you’re all done with the applique! We’re beginning the setting instructions this month. This month’s installment is named after the Junior/Senior Banquet held at Hazel’s high school her senior year, the Moonlight and Roses Banquet. You can see a picture of the actual banquet invitation HERE. This was the first banquet to be held in the new school gymnasium that was built the year before and dedicated on October 11, 1953. You can read about that HERE. While the setting for the blocks in the Hazel’s Diary quilt may look a bit complicated, rest assured that it’s quite simple, really. In spite of its appearance, there are no partial or set-in seams at all. It’s all in the way you put it together, and this month’s installment explains how it’s done. I used scraps from my blocks in the setting, once again mixing vintage fabrics in with 1950s reproductions and new modern fabrics. You can get your copy in today’s Kansas City Star Sunday paper, or find the downloadable version in my Etsy Shop. To read the story from the paper online, click HERE. 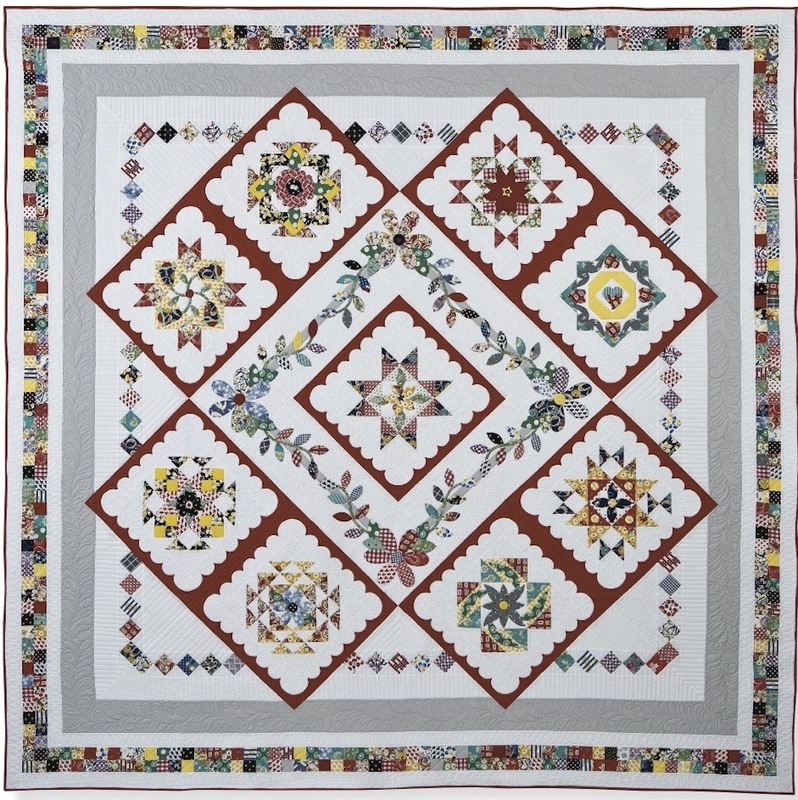 Next month is the final installment, when we’ll finish the setting, and you’ll be done with your quilt top!